Disclosure: The Chillproof Jacket and the green Rapid Dry top were requested by us so that we could do a review, and will be returned. All the other items referred to in the review are/were the personal property of Vinnie, which he purchased at full retail from shops in Thailand and Malaysia. As always, our gear reviews are opinionated and represent what we truly feel about the product – we aren’t trying to sell page views or advertising: we like playing around with gear and we want our fellow divers to get the best possible value for their money. One benefit of working at a dive center is that I get to play with a lot of dive gear – both stuff that we try out to use at the dive center and stuff that we try out for sale. As a result, I have developed a deep-rooted religious aversion to paying retail for anything – after all, why should I, when I have access to the entire catalog of Mares, Aqualung and Scubapro to try out? Between them, pretty much all my diving needs are covered several times over. There are, however, a few products which I like so much that I am willing to make an exception. One of them are NOS Cressi Master Frog fins (seriously – if you know any for sale, please let me know. I have had breakups that were less painful than learning that Cressi discontinued these fins). Another is Sharkskin’s range of thermal protection gear. Up-front alert: I am a fanboy. I’ve been using Sharkskin products for 7-8 years now and when I wore through my last one, I walked into a dive shop in Kuala Lumpur, slapped down my credit card and paid full retail for a new one. As such, I was super-excited to learn that Sharkskin is now available in India, which has prompted this article. Let’s get one thing out of the way – these are not really made of sharkskin (I know someone who got hate mail about this). So what are they? They are amazing, dear reader, that’s what they are. Amazing. An outer, stretchable nylon/lycra blend which provides abrasion resistance and UV resistance, and is also water repellant, to shed splashes. Supposedly, it provides the thermal properties of 2.5-3mm of neoprene – while also being neutrally buoyant (so it wont mess up your weighting), anti-microbial and also odor- and itch-resistant. No, it is definitely not your run-of-the-mill garment. In case I was too subtle in my introduction, short answer: yes! Anyone who has dived with me knows that I am a complete and utter wimp, and get cold very quickly (the days of cold water diving in a dry suit/dry hood/dry gloves seem to be very far away). If I am in the water for a couple of hours, I almost always wear a full length wetsuit, to avoid getting cold. And even on dives where I am ok in the water, coming out of the water is pretty much a guarantee of the shivers till I can take off the wetsuit, find a towel and put on a dry T-shirt. As a result, I end up wearing a wetsuit even in warm water – and wetsuits simply are Not Fun: they are a pain to put on, you need more weight to dive with a wetsuit and there are the post-micturation odor issues that would make even the Big Lebowski shake his head. However, with Sharkskin jackets, I find that not only do I stay warmer in the water, I also stay warmer when I get out of the water. In practice, I have found that my threshold temperature for needing a wetsuit has down by 2 degrees compared to other neoprene jackets and vests that I have tried. In other words, where I would wear a wetsuit in water that is 28-29C, I now can manage with just a Sharkskin top and board shorts in waters down to 26-27C. Doesnt sound like much, you say? Well, it means that instead of wearing a wetsuit all year long, now I only need to wear it 2-3 months a year. 9 months less of needing to wrestle in and out of a tight wetsuit every dive. 9 fewer months of being encumbered on each dive. 9 months of less weights, less air adjustments in my BCD and generally a lot more comfortable. And in cooler (not as warm, let’s say) water, I can wear a Sharkskin under my wetsuit and extend the temperature range of my wetsuit by a few more degrees. So I am less likely to need a 5mm suit – in fact, ever since I got my first Sharkskin, I stopped using my 5mm suit. What if you are not a wimp like me? Well, perhaps you dive in shorts and rash guard and only put on a full length wetsuit at the lower range of tropical temperatures – in this case, you may be able to replace your wetsuit entirely with a Sharkskin! About the only somewhat negative thing I can say about them – I am not too wild about their hoods. I like my head to be warm and am used to diving with a 3mm hood all the time. The Sharkskin hood is a fair bit thinner and doesn’t keep me as warm as a regular hood. However, the flip side is that the Sharkskin hood is also a lot more comfortable – and for someone who has never tried a hood before, it’s a great way to gain additional warmth without the cloying sensation of a neoprene hood. If there is one thing Sharkskin doesn’t do too well, it is come up with sensible names for their products. It’s a fairly confusing mess which had me confused for the longest time (and still does), so let me try to demystify it for you. The core range is the Sharkskin ChillProof Long Sleeve, with a higher end ChillProof Climate Control variant (this has a silver outer layer, which prevents over-heating in the sun as you are kitting up to dive, for example). 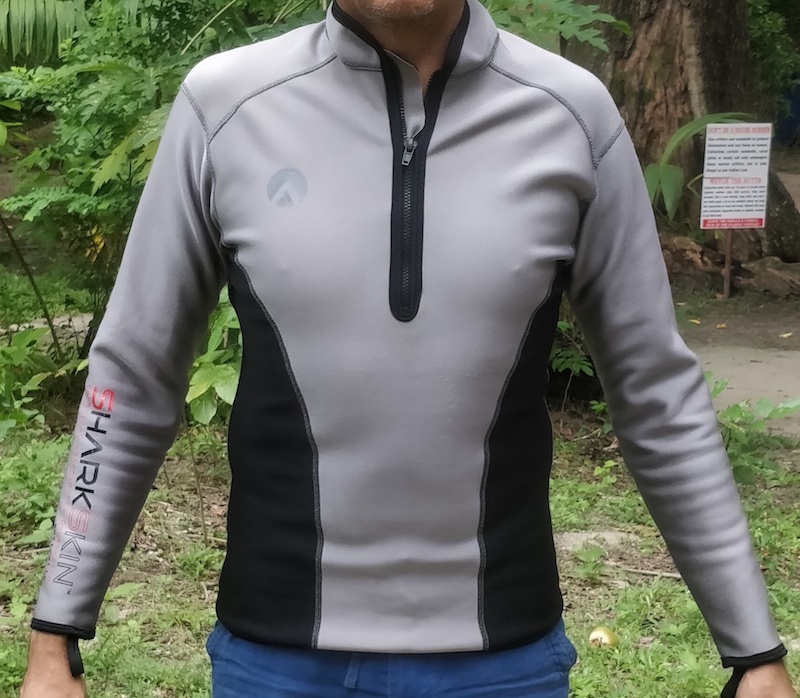 I used to own the ChillProof long sleeve earlier and replaced with the Climate Control variant recently, and while I haven’t done any controlled testing, I do think I don’t get hot as much with this version when I am traveling to/from the dive site, for example. So the Climate Control part does seem to work, in my opinion. 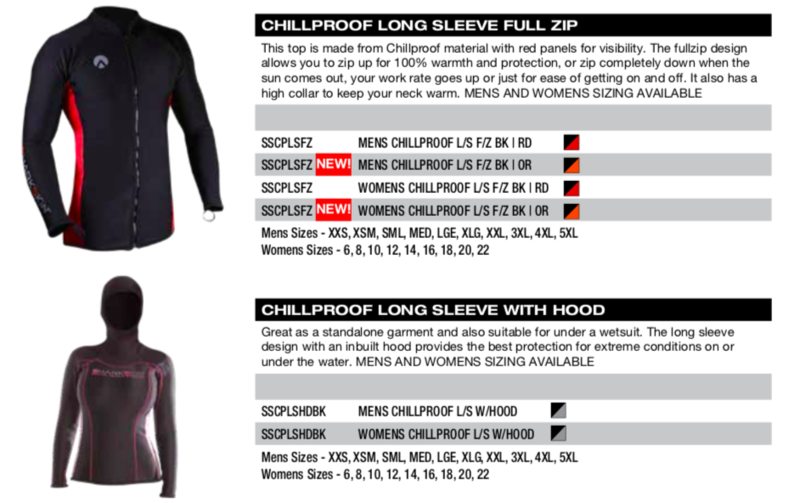 The ChillProof LongSleeves also comes in a hooded variant – one of our current DMTs at the time of writing this article (who may be the only person who gets even colder than me) bought this and it has helped her tremendously with staying warm in the water. There is no Climate Control variant of the hooded jacket, however. 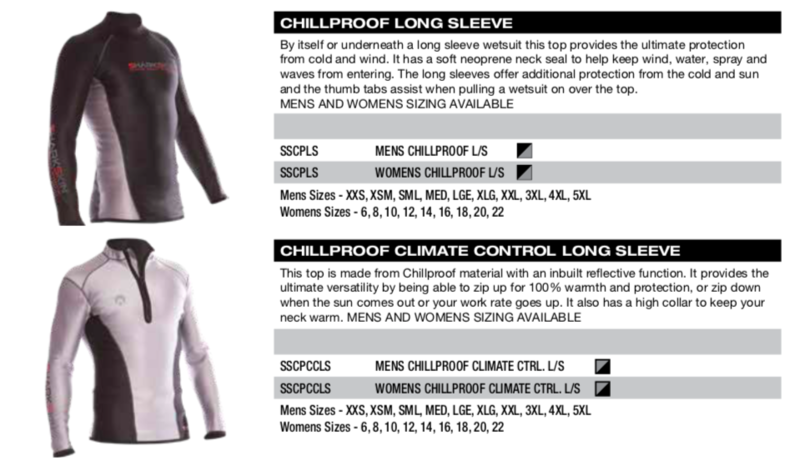 There is also a full-zip version, called the Chillproof Longsleeve Full Zip. As the name implies, this zips up and down entirely, giving you more options to regulate your body temperature. In water, you dive with the jacket fully or partially zipped up and on the boat, you unzip it to stay cool. In my opinion, the full zipper is an unnecessary complication for divers – at most, the quarter-zip on the Chillproof Climate Control is more than sufficient to make the unit easy to don/doff. There is also a Chillproof Hooded Jacket- this jacket meant to be worn on the boat, before/after dives (or also when doing other activities that involve water exposure where warmth is a requirement). It is a fairly common sight to see dive professionals packing fleece jackets on the boat to stay warm and avoid windchill between dives – but unlike regular fleece jackets, this puppy is designed to be exposed to water, courtesy of those three layers I mentioned earlier. 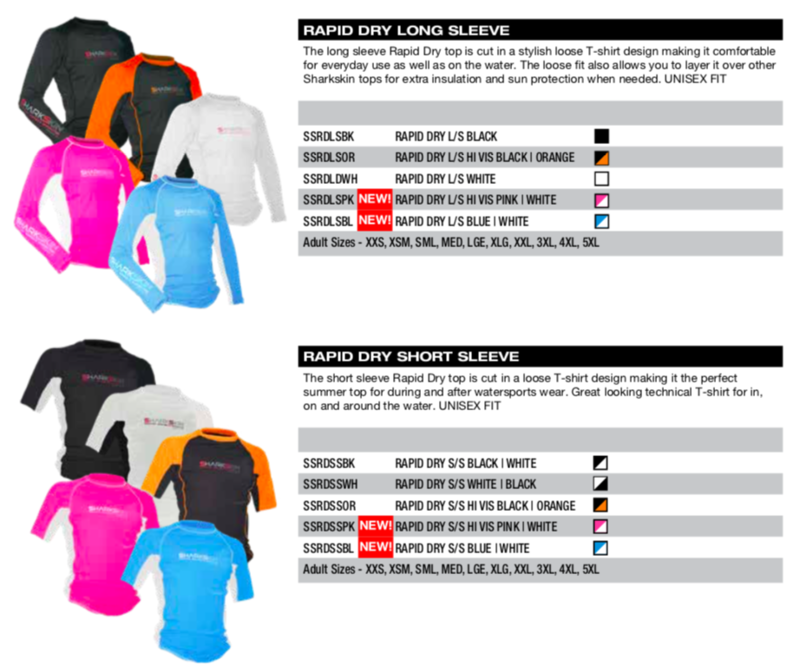 Next up is Sharkskin’s short sleeve/sleeveless range, which can be worn as stand-alone units or as base layers under a wetsuit (or a full sleeved Sharkskin jacket). There are three items here. 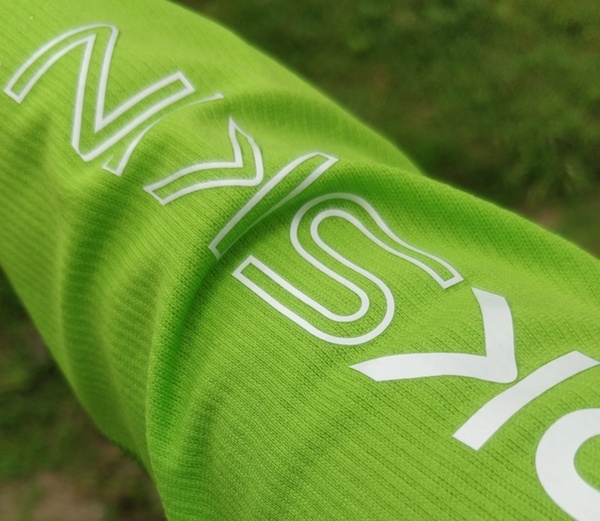 First is the Chillproof Short Sleeve, which is available without a hood only. If you need something a little lighter than a Fullsleeve ChillProof, this is the one for you. It can be worn stand-alone or as a layer under a wetsuit. The next two items are primarily designed to be base layers – ChillProof Sleeveless Vests, without and with a hood. While you can wear them as a stand-alone unit, I would not recommend that if that is your primary usage: I used to own a ChillProof Sleeveless Vest With Hood, and found the lack of sleeves let a little more water into my torso than I would have preferred. For occasional use with shorts, it was fine – but if your goal is to buy something you can wear with shorts to replace a wetsuit, get a version with sleeves, in my opinion. As base layers under a wetsuit, however, the Sleeveless Vests are fantastic. They are a lot more comfortable than neoprene or rubber-lined vests, and also feel a lot warmer against your skin. My old one is torn after years of use, and I will be getting another one to replace it. There are also other items (such as shorts), which I have omitted from the review, as they are designed primarily for kayaking and other surface activities. There really are very few products that are directly comparable to Sharkskin. The typical lycra and neoprene rashguards dont have offer anywhere close to the same degree of comfort, warmth and favorable buoyancy characteristics. Mares has recently released a range of products called the Fireskin, which utilizes similar principles in construction as the Sharkskin – as you would guess from the name, they are directly taking on Sharkskin with this range of products and the pricing is very competitive (actually, significantly cheaper than Sharkskin). 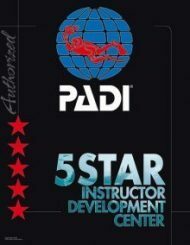 I have yet to try out a Fireskin unit in the water, but will do so soon and post a review of that. Thermal protection is important for every diver: even in warm water and even for divers who don’t get cold often. 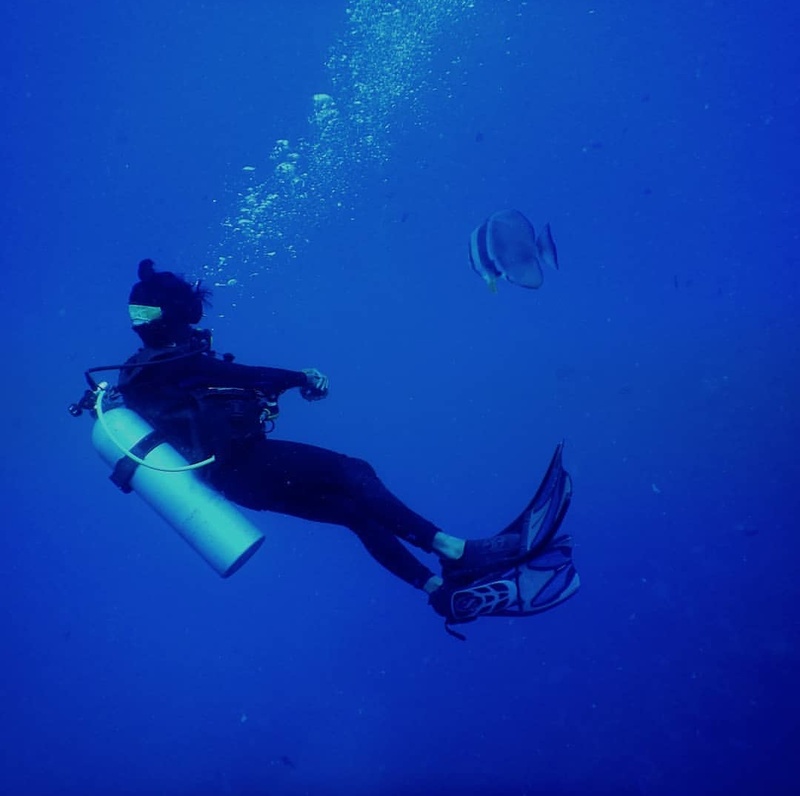 There is a big difference between “not getting cold” and “being comfortably warm”, for one – and one that has a tremendous impact on how much you enjoy your dives. And here, Sharkskin is a product that you should know about. For those who don’t get cold easily, it can actually replace the 3mm wetsuit as the default thermal protection unit of choice. 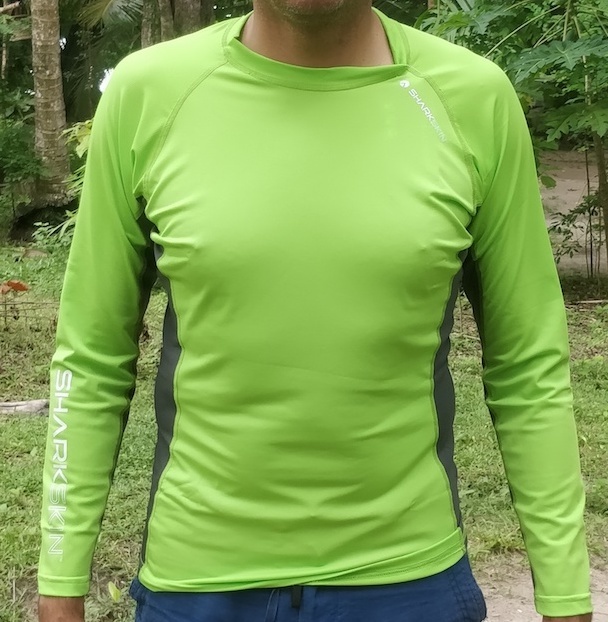 I would recommend a ChillProof Long Sleeve as a good option to try out – it is easily warmer than a 3mm neoprene shorty, in my opinion. For those who do get cold easily, a Sharkskin Sleeveless vest under a wetsuit significantly increases the usable range in which you can wear your wetsuit. A ChillProof Sleeveless Vest (with or without a hood) is a great way to add extra warmth to your wetsuit without increasing buoyancy. No, Sharkskin products are not cheap. You can actually buy a 3mm wetsuit for slightly less than the cost of a Sharkskin ChillProof Long Sleeve top (and the cost of that Sharkskin Hooded Jacket above makes me want to cry). But they are fantastic and do a great job, which makes them worth the money to me (enough for me to buy several units at full retail). As those of you who follow my recommendations know, I rarely recommend top-of-the-line stuff unless there is a significant reason to do so. In general, I feel that functional value in most goods typically resides in the middle of the range: at the entry level, one gives up too many features to get the lowest price. At the top of the range, one gets a lot of neat features which are nice to have, but not essential: and whether or not those features are worth the premium is a personal decision. Sharkskin is one of the few premium products that I recommend whole-heartedly for everyone – you get a Better Product for your money, and in the long run, that’s a more economical purchase. And it is not just me – when I got my first Sharkskin, a fellow instructor liked it so much that he pretty much made me pass it on to him. I was also relieved of my other Sharkskin, a ChillProof Sleeveless, by another instructor on similar grounds. So now I keep my current Sharkskins in my room and not in the dive shop – now that it is sold in the country, no one is taking mine from me: they can jolly well order their own damn piece. 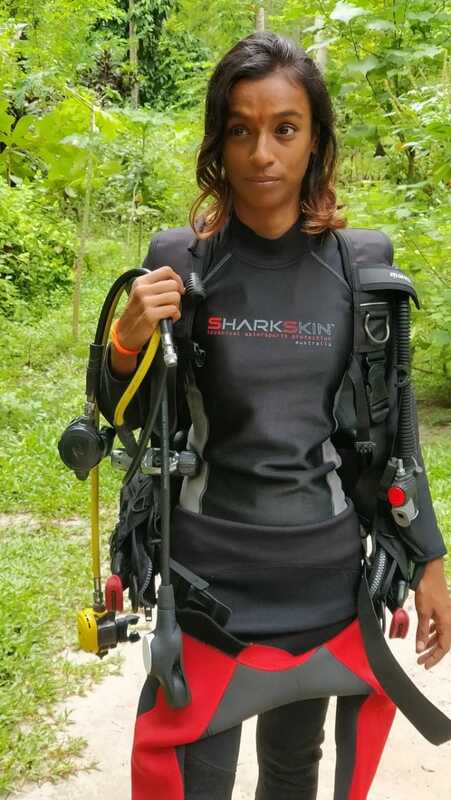 And speaking of ordering their own damn pieces: in the week between my writing this review and it getting posted online, 3 of our dive staff and 3 of our DMTs/Instructor candidates have all ordered Sharkskin products. And I have also gotten myself a Rapid Dry long sleeve top. 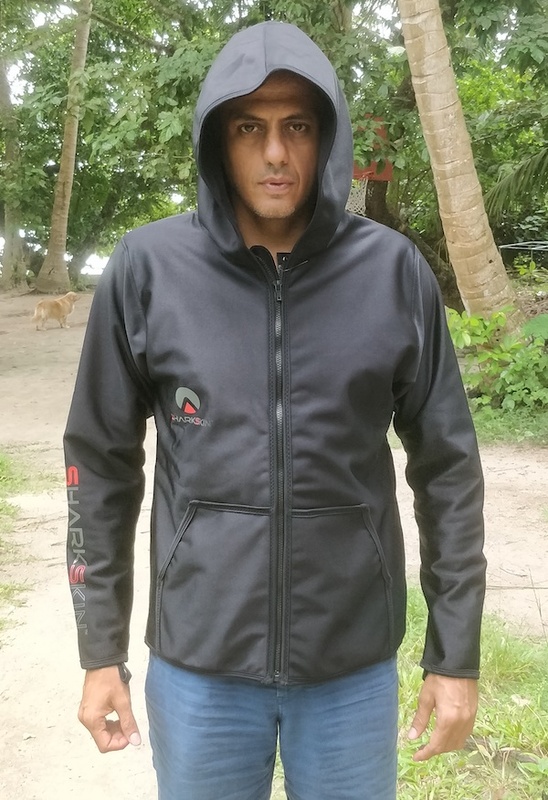 Diveindia sells a full range of Sharkskin jackets – our top recommendations are the ChillProof Long Sleeves (both regular and Climate Control version) for people looking for a better alternative to neoprene rash guards or shorty wetsuits, and the ChillProof Sleeveless Vest (with or without the hood) as something to layer under your existing wetsuit. If you are the kind who loves the ocean deeply, you surely know the pain of not being in or near the water for more than a certain period of time, after which you start to experience serious withdrawal. Long-distance relationships with the seas can be rather difficult. And looking at photographs and videos can do a great deal in lifting spirits and rekindling hope that the next reunion is not too far away. However, few things can come as close to giving us that same sense of joy and peace, as do good books about the ocean. Be it on a quiet evening at home with a hot chocolate or on the bus to work. How many things can open up our imagination; awaken all our senses and transport us to places far away the way books can? The written word helps us paint the most vivid images in our minds while making us laugh, cry, contemplate or reminisce. In this series, we are sharing some of our favourite books (fiction and non-fiction) that teach us more about the wonders of the ocean but also beautifully put to words, all that we wish to, but usually struggle to. Try our picks of the month and let us know your thoughts! We welcome suggestions! The author, Chetana is a PADI divemaster and resident biologist at DIVEIndia in the Andaman Islands. She is an alumnus of the Masters program at the Wildlife Conservation Society -India program and National Center of Biological Sciences in Bengaluru. She has been diving and exploring the Andaman Islands since 2013. She is also deeply excited about forests, birds, reptiles and amphibians. To me, diving at the same dive site over and over is never boring. It feels like going to hang out at a friend’s house. There is pleasure in seeing them again and there is comfort in knowing all your favourite things about their place are still there. I have a close friend at Dixon’s Pinnacle, here in Havelock; a cute and curious circular batfish (Platax orbicularis). When I dive Dixon’s, typically the first thing I see is a 10 meter tall wall of batfish gingerly fighting the current. And nearly every time, there will be that one batfish that peals away from the school and swims over to where I am. Swimming barely a meter away, this batfish accompanies us to the second pinnacle, and waits patiently while we look at the big-eyes hovering behind the third pinnacle. She (or he) even ascends with us to the top of the first pinnacle towards the end of the dive while we look for juvenile emperor angelfish. The probability of this happening is so high that I can confidently brief my divers about the batfish and sure enough, there my buddy will be! I have grown attached to this batfish and find it especially comforting when she (or he) accompanies me until the mooring line at the end of the dive, even though it is a good 30 meter swim into the blue that my batfish buddy must swim back to the pinnacles, alone. I have not been diving for very long, but it did not take me much time to realise that while it is very difficult to tell individual fishes of a species apart , there is no doubt that every individual is different. 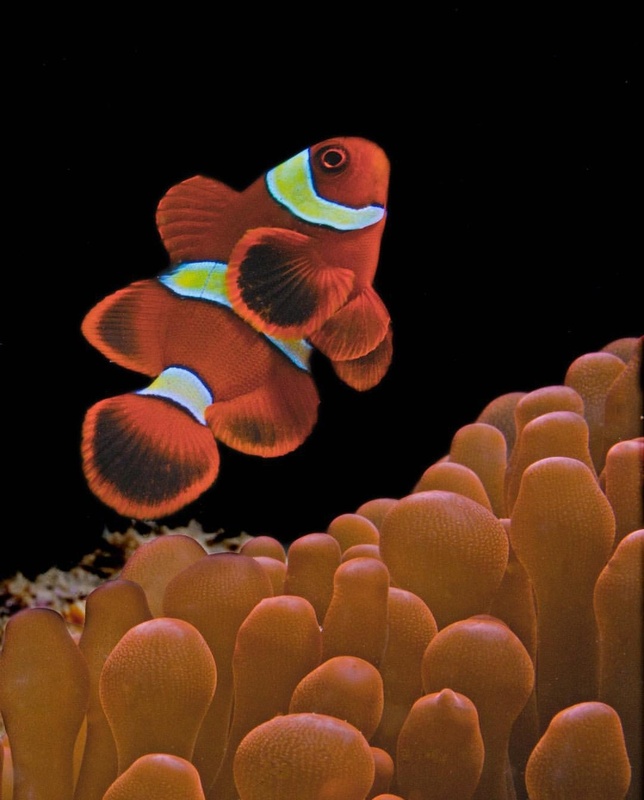 Fishes, much like us, have different personalities and temperaments, which may be a sum of their life’s experiences. Although there is a lot that we now know about the lives of fish, there is so much more we are yet to understand about them. The batfish at Dixon’s and several other underwater friends (and enemies) I have made around Havelock have got my mind constantly churning up questions about what they are doing, what they perceive, feel and think! And as though the forces knew exactly what was going on in my mind, the universe dropped a fabulous book into my lap (alright, read: kindle). ‘What a Fish Knows: The Inner Lives of Our Underwater Cousins’ is an eye-opening and mind-boggling account of fish lives that ethologist Jonathan Balcombe uses to make a strong case for fishes as being sentient beings and not merely animals to be caught or consumed. Balcombe bases his argument on decades of science and numerous anecdotal stories, told in a way that really draws you in. While you may or may not agree with some of his interpretations, the facts and observations he states are real. Fish swimming in schools are not an arbitrary group of fish moving in arbitrary directions. They have leaders, informants, and navigation-communication systems. They have culture. This book comes at a time when fish populations are steadily crashing across the globe. It is taking destructive and wasteful fishing practices to meet the ever increasing demand from the seafood market, the live pet trade, traditional medicine, aphrodisiacs, you name it! There is a need, now more than ever, to talk about fish, as individuals whose lives have intrinsic value and not just commodities that measure in kilograms, pounds or tonnes. To begin with, we hear very often that we ‘evolved from fish’. There is significant scientific evidence to show that we are descendants of fish and fossils of the first fishes dates back to 530 million years ago. Today they make up 60% of all vertebrate animals on earth. They have had plenty of time to adapt, evolve and diversify extraordinarily; just, not within our view. We may never truly know what it is that fish perceive, but we are able to figure out the mind blowing extent to which their sensory abilities have evolved – vision, speech, hearing, taste and touch. Balcombe spends time on each of these and several ‘sixth senses’ including navigation using lateral lines, ultraviolet code language and hunting with electroreception! 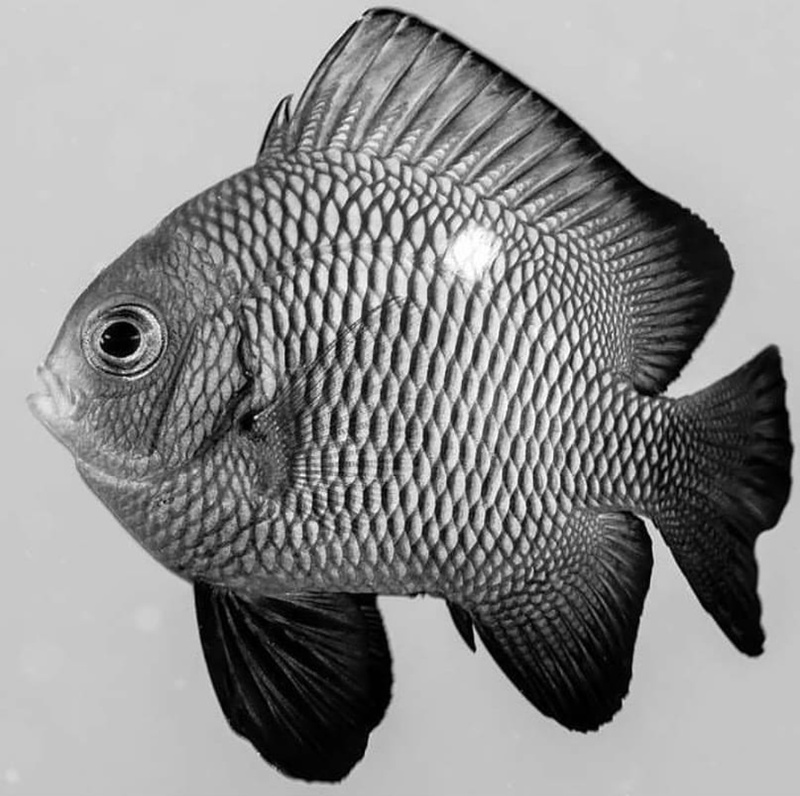 Fish can think, calculate and memorise. The ‘three second goldfish memory’ is now a thing of the past. Wouldn’t you agree that a three second memory would be frighteningly painful for a manta ray that plans to travel between specific seamounts in search of plankton blooms and then go back each year for a routine clean at the exact same cleaning station, on exactly the same corner, of the exact same coral reef? The most interesting part of this book (and you can tell while reading it), is also probably what Balcombe holds closest to his heart. Going beyond the senses, beyond just cognition, he asks- do fish have feelings? Do they have beliefs? Through studies and stories that are amusing, sad, and hilarious and awe inspiring all at once, we see how fish can have feelings that range from stress to joy. They can appreciate the warmth of the sun in the same way we do after a cold rainy day. A visit to a cleaning station relieves their stress the same way a good massage does ours. They can be inquisitive, deceptive, empathic and playful. Fish have culture, traits that are not innate and need to be learned through the course of their lives. In conclusion, this is a really fun book but also pertinent given the current state of affairs where fishes in our oceans and rivers are concerned. We have learned fish behaviour enough to know how and when to detect and catch them using sophisticated technology and yet we fail to use this same knowledge to stop decimating their populations and ecosystems. Try spending about five minutes on your next dive observing a cleaning station. 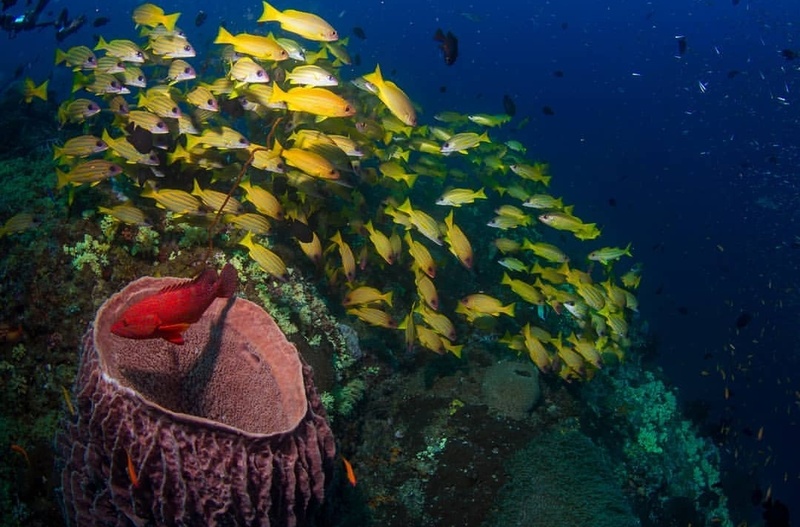 The interaction between cleaners and clients on a reef alone tells so much about their social systems and will show you that “fish aren’t just alive, they have lives”! In the meantime, after having read this book, I look forward to heading back to Dixon’s to meet my buddy the batfish again. Do you think that they know that we know what they know? 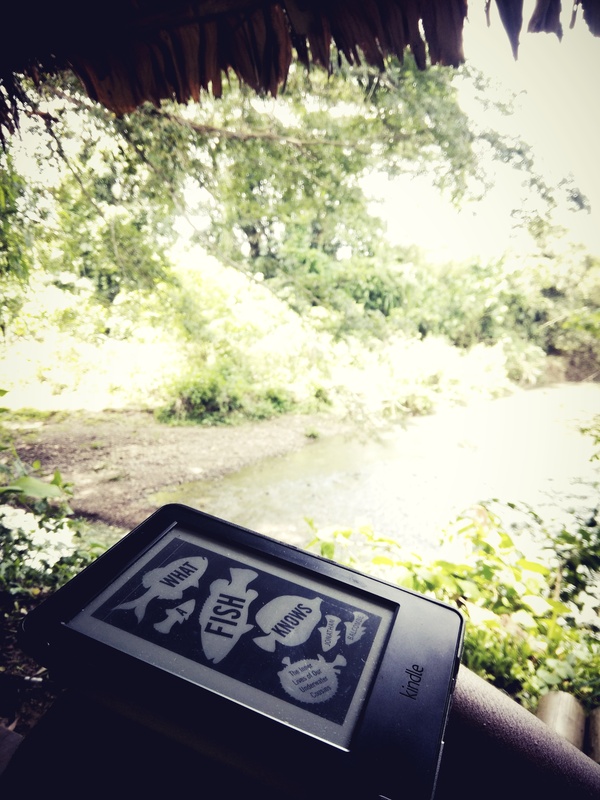 What a Fish Knows is easily available online, in paperback and kindle versions!